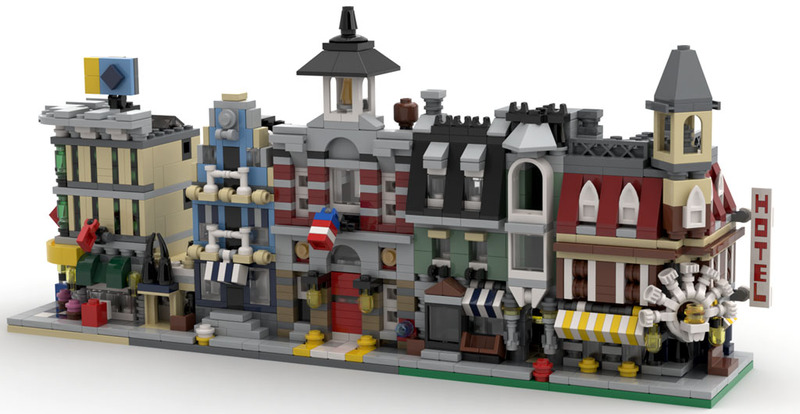 Topic for the Modular Buildings theme. (2017-12-18, 16:10)Philippe Hurbain Wrote: [ -> ] Wow! Congratulations, Willy! Thanks, this was kind of a long term project as a few parts had to be made, mainly torsi. (2017-12-18, 15:37)Willy Tschager Wrote: [ -> ] Topic for the Modular Buildings theme. Minifigs not 100% accurate due to missing printed torso's and heads. Used closest parts to compensate. I just update my post on Creator Expert set 10264 Corner Garage. It is done and posted here. An impressive list of parts you have to author. I've been working on the parts for 10246 - Detective's Office for quite a while and have still a few torsi to do.